After wrapping up the competition on Saturday, Brian and I headed straight to Logic’s Incredible World Tour show in Dallas. When Logic released ‘War Vet’ in 2012, it quickly became one of my go-to workout songs. I’m a big fan of rap with clever lyrics, so his music was right up my alley. Flash forward to Governor’s Ball 2015. Gov Ball is a big music festival that takes place during the summer in NYC. I was about mid-way back in the sea of fans when Logic came on stage. 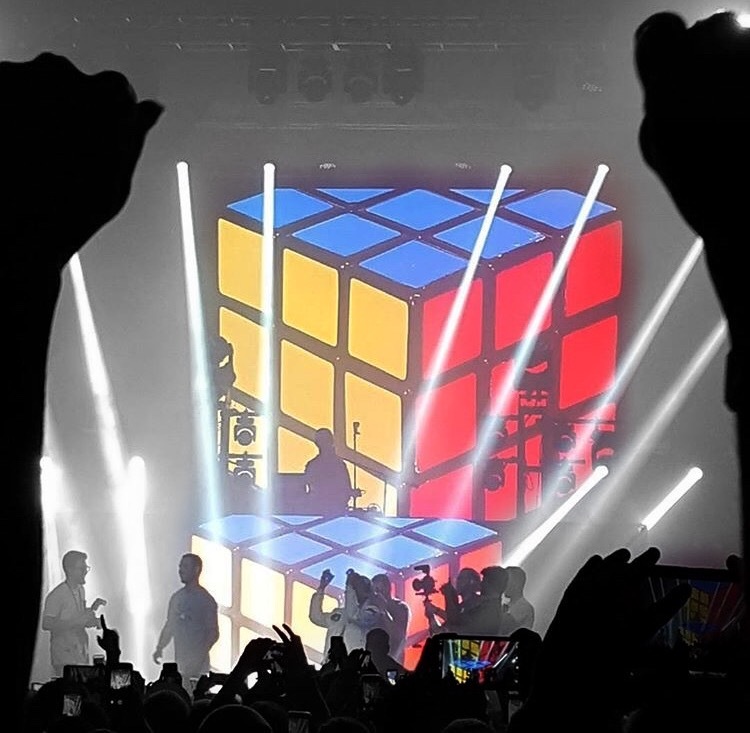 Now, if you’re not familiar with Logic, he’s a big fan of the cube. Here’s a video of him solving while freestyling: https://www.youtube.com/watch?v=hLqFJaH3KVY. 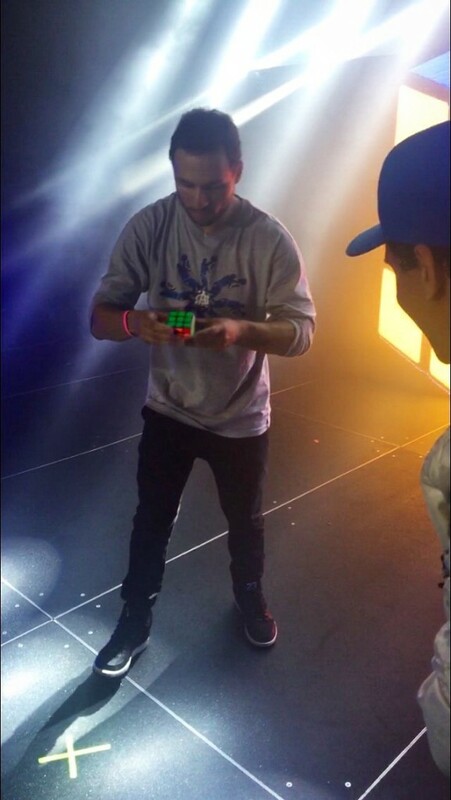 So, midway through his show I lifted a cube up in the air and began solving it one handed. Pretty quickly, people around me began shouting “Rubik’s Cube”, and before I knew it I was being pushed towards the front. After a couple of minutes I was about 10 rows back, still twisting the cube. That’s when Logic finished performing a song, acknowledged the cube, talked to me for a minute, and told me he’d see me after the show. Sure enough, I met Logic (AKA Bobby) around the side of the stage after the show. Now, back to this past weekend. Midway through the concert, once again in the middle of the pack, I lift my cube, and begin twisting. Almost like deja vu, people around me begin yelling “Cube! Cube!” and pushing me forward until I I’m about 10 rows from the front. Funny enough, someone from Logic’s team saw me and took a video for Logic’s snapchat. 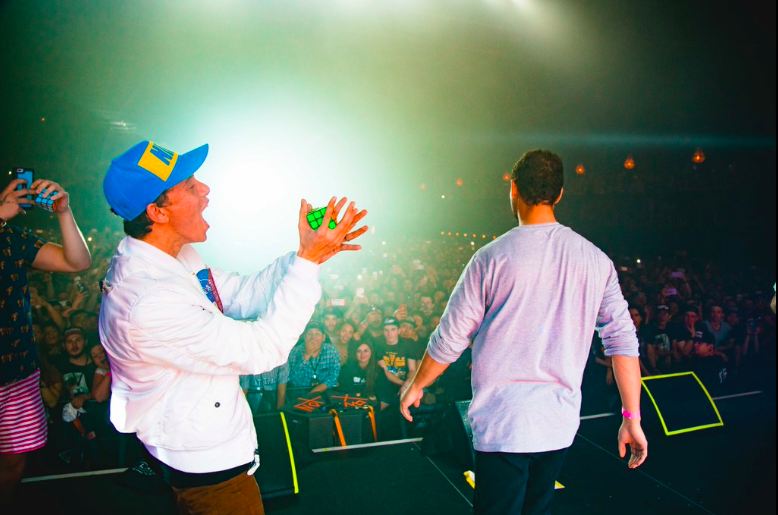 A fan uploaded it here: https://www.instagram.com/p/BDenivQtqR6/?taken-by=its.rattpack So Logic is walking across the stage in the middle of performing the song ‘Lord Willin’ when he notices me, squints, and smiles. It was already a special moment. I’m smiling ear to ear as everyone around me is like “WTF.” I yell back, “Yeah man, how’s it going? !” He asks when we last saw each other and we talk for a few moments, before he tells me to toss the cube to him. He begins scrambling and then says, “You know what, get Anthony up here!” Crowd cheers as I’m hoisted up by some 6’7 security guards. Brian follows suit behind me. Now we’re on the stage in front of a packed audience of 5,000+. This story’s already long, so let’s cut to the chase. 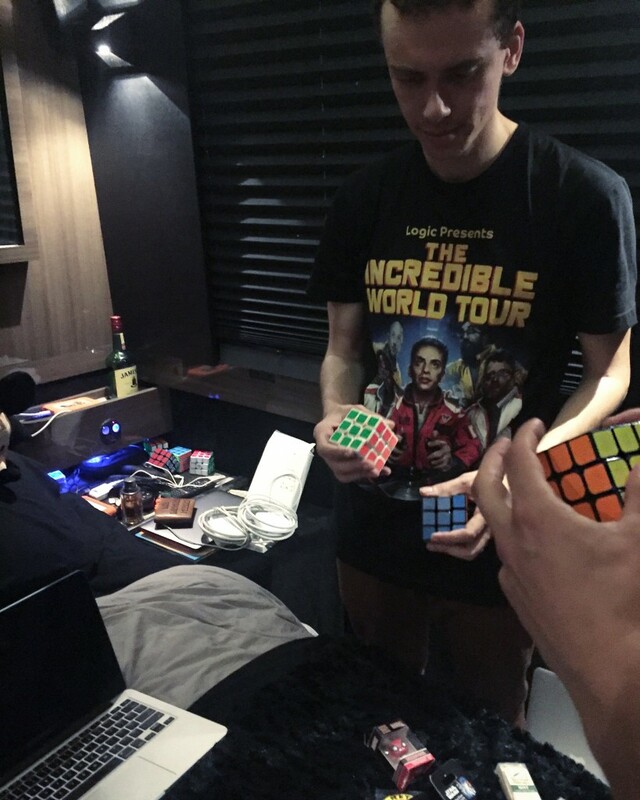 Logic mixes up the cube, music kicks in, and I start my solve on cue with the beat. The solve starts really slowly (combination of lack of inspection/lighting/nerves) and my heart is racing, but a PLL skip saves the day! 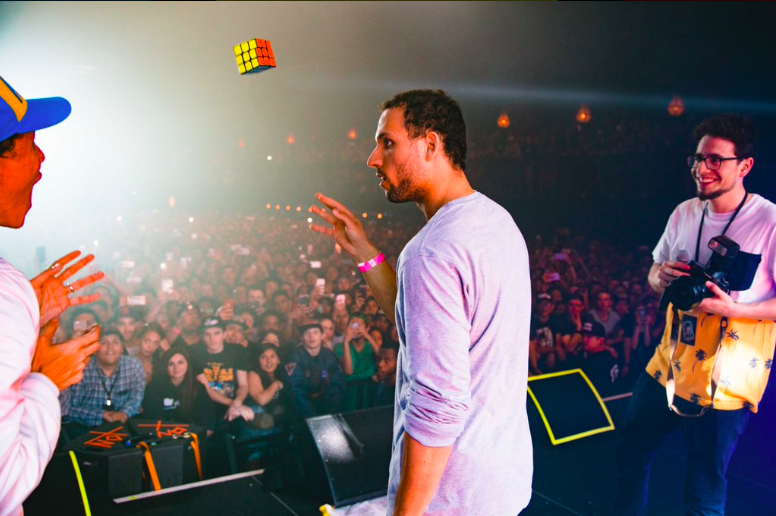 I finish after 8 seconds, toss the cube to Logic, and walk towards the crowd as they go wild. Find more about Logic at mindoflogic.com. He’s both a real talent and a genuine person. Thanks for a dope experience, Bobby! I’ll see you soon.